Who is Elmina P. Spencer? 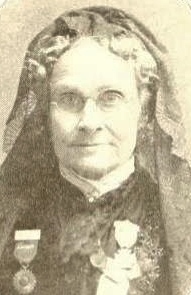 Elmina was born in the year 1819 in the town of Mexico and was a nurse in the Civil War. Post-war, she was one of four women to be honored as heroes by the State of New York with a marble statue bearing her likeness placed on the Grand Staircase of the Capitol Building in Albany, NY. To hear the “Tale of Elmina Spencer” come to the Volney History Center on May 5 at 2 p.m.
Joyce Cook will enlighten you with the rest of the story. Cook retired in 2001 after being librarian for the Fulton Public Library for fourteen years. She has lived in the town of Volney for twenty-two years. The Volney town hall is located in Volney Center on Route 6. For other information call 315-593-2293.